It’s an intriguing word, one that I, personally, never associate with Christianity, nor my walk with God. The world of business may not be the best place to look for the language of unconditional love. 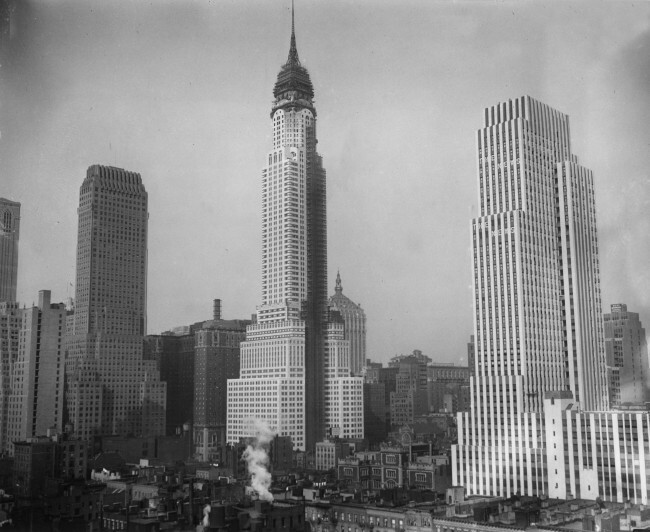 New York Skyline, circa 1920, AP photo. Humility, grace, mercy, love, patience, Fatherhood — these words roll gently off the tongue and into the heart, inspiring me daily to seek the good gifts from my Eldest Brother’s hands. Like all humans, I long for, ache for, yearn to experience unconditional love and acceptance. I desire confidence in the presence of my God that I mean something to Him, and that He embraces me into His household as His dearly beloved daughter. Learning that this is so — well, that is good news indeed. Simple, basic words — like love, acceptance, friendship — are akin to a good soup, nourishing and uncomplicated, delicious in their simplicity, healing in their warmth. The words themselves are meaningless, distant from human emotion or content, but we use them because they sound forceful and bold, the way a successful CEO would sound. And given that the average successful CEO is that way not because he, or in fewer cases, she, is kind, thoughtful, warm, caring, funny, endearing, merciful, just, and loving, it’s odd that we would choose to mimic the same language within an environment — church culture — that is supposed to embrace those nine aforementioned qualities. God is love, not intention; He seeks a meaningful relationship with His children, not purposeful interaction; He teaches us to be humble, not excellent. But in our fascination for corporate culture, and our willingness to embrace not only its terminology, but its belief system, into our place of worship, we abandon the true excellence of God — His love for us, His majestic power, His unending grace, His very own humility shown in the person of His Son — and pressure ourselves to achieve an excellence of our own. We are to be excellent in our prayer life, which, I guess, means that we get pretty much everything we ask for — that’s success, isn’t it? And speaking of success, we are to be excellent in our financial affairs because, when God is pleased with someone He blesses them, and the outward manifestation of that approval, indeed, is that we are wealthy. It’s too bad about all those millions of starving people. They really should get to know God. “For I desire mercy, not sacrifice, and acknowledgement of God rather than burnt offerings,” God says in Hosea 6:6. It is not what we do, but who we are that matters before God. And when we are proud, and put together, and forceful, dogmatic, overbearing and self-assured — convinced of our excellence — then we are in very real danger of walking away from the better person whom God is constantly trying to shape us to be: humble, meek, dependent upon our Father and listening to Him, eager to walk beside Him and simply bask in the beauty of His presence. We are not doormats — we are children of God: confident in His love, trusting in His faithfulness, and delighting in His — God’s — excellence. Are you tired of corporate terminology infecting spiritual wisdom? Please read more on this topic at my Commonsense Christianity article at BeliefNet, Does God Care If We Are “Excellent”? This entry was posted in Art, blogging, Business, Christian, church, Culture, Current Events, Daily Life, devotional, Encouragement, Faith, Family, home, inspirational, Life, Lifestyle, religion, spirituality and tagged Christianity, corporate, excellence, God, love. Bookmark the permalink. Thank you, Heather. Years ago, when we were still in a church environment, I was bothered by the words I was increasingly hearing used — words that mimicked, literally, what I heard drop from the mouths of middle managers in mid-sized and mega-corporations and government agencies. At first (and I still do), I chuckled at the absurdity of what was being said — it sounded so puffed up and self-important, and as for saying something, didn’t. At all. And yet the people speaking were so convinced that they were being grown-ups, I guess. And then I saw how much it was infiltrating, and the words of absurdity were being dropped from the lips of ordinary people who had nothing to do with mid- or mega-sized corporations, but they talked as if they did. Good, honest people parroted the statements of their “leaders,” and the more they spoke and believed corporate-speak, the further they walked from the simple truth of Christianity. It’s not so amusing anymore. It’s more flummoxing, actually, that intelligent people, who seek to follow God, should be so fooled and tricked into living in a substitute world that has no sense of caring, at all, for ordinary people. The “leaders,” I can see — some of them are simply dishonest and out for ill gotten gain (the closer their organization looks like a mega-company, the more believable this seems); others, however, have simply fooled themselves into thinking that they are greater than they are, and they use the language of business champions because it makes them feel like more of a champion themselves. Those of us who are not “leaders,” and thereby less tempted to think that we are mightier than we are, can use the humility of our position to solidify our relationship with God, a relationship based upon our sense of dependence, as children, upon our perfect Father. He encourages us to use real words, real language, meaningful speech, with both Him and our fellow brothers and sisters in humanity. Hi Carolyn, I think it’s easy to apply corporate thinking to much of life. I agree that the danger in corporate jargon in the church is that it makes it too easy for us to become detached or “puffed-up.” My focus lately has been to remember who God is and that it is by His grace alone that I am invited into relationship with Him. He loves me and wants me. That is amazing and no big words could make it any better. Thanks and blessings! Ironically, because the corporate culture has so embedded itself in many churches, too members feel as if they were lay-employees, and really can’t say anything. Women, especially, feel limited, and this is not good, as God wants both His daughters and His sons to be involved in the good work of telling others about Him. Wow, I really enjoyed this post! It is very well written. Thanks for sharing your gift of writing to others. Thank you. I write because I love it, and burrowing into the thoughts of God through Scripture and looking at the world around me is an exhilarating experience that I want to share with others — especially the many who are missing out on knowing more of God because they are taught, in conventional circles, so little ABOUT Him. It is for this reason that I strongly advocate ALL Christians reading the Bible for themselves, allowing the Holy Spirit to teach them, and not relying, like very young children, upon other people to do all the thinking and interpreting. It doesn’t take much study of the panoramic Christian public arena to figure out that there is a LOT of misteaching in Christ’s name, quite a bit of it providing a lucrative income for those providing the teaching. This attitude of accepting our equality extends as a benefit to all women, with the result that single women do not need to feel that their lives are on hold until marriage, in the same way that men’s lives are not on hold until they get married. As sons and daughters in our Father’s household, we all have work to do, and it begins — and continues to fruition — as we listen to our Father’s words and obey them. Welcome, Janice. Thank you for visiting! Wow! Carolyn, I can always count on you to tell it straight. Excellent post! Thank you, Letitia — you give me a smile of joy for the day! I am grateful each and every day for this fact “It is not what we do, but who we are that matters before God”. We will falter and we will fail but our God is faithful to complete a good work in us. Thank you for the reminder not to get caught up in the language. It’s prideful talk and boasting, I feel that has isolated people and made gaps where there should have been bridges. Good words, indeed. In focusing on our frail humanity, we often make the mistake at stopping at ourselves, which, as you observe, have a tendency to falter and fail — because we’re human. So we batter ourselves about and wonder why we can’t do better. But God isn’t focusing on this at all, and wants us to focus on Him instead. He is perfect, He is loving, He is merciful and gracious, and the best thing we can do with our realization of our inevitable lacking is to stop blaming ourselves for not being perfect and run into the arms of the One who is. Only then are His words able to penetrate our minds and souls, and then teach us — shaping us into the people we want to be, but can’t be on our own power.